Today it was supposed to snow. We basically got nothing. While the lack of snow was a disappointment my bump sure wasn’t. 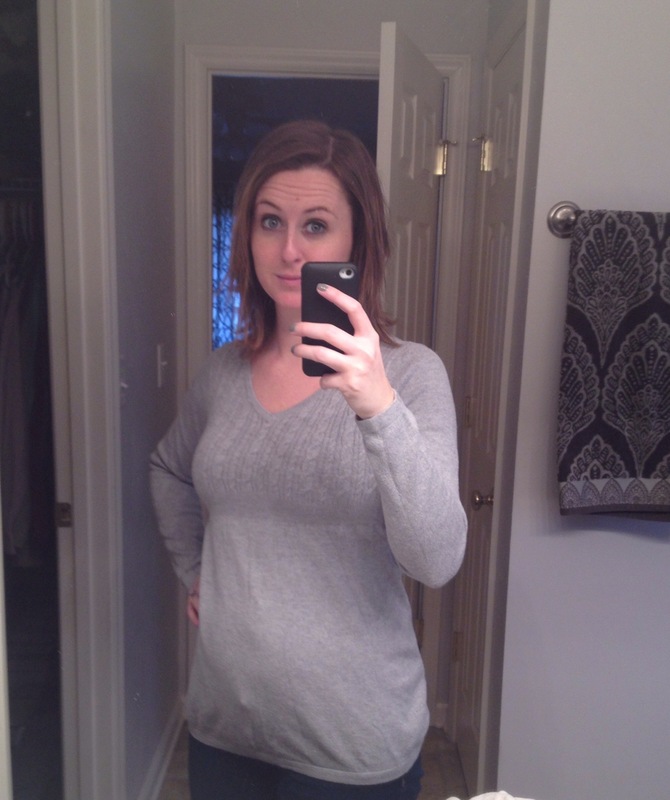 Today was the first day I wore a piece of maternity clothing. Yes, I will be 21 weeks tomorrow, and yes I don’t really look pregnant. It was exciting for me. Thanks to Stacy for letting me borrow clothes to fit this bump when it gets big- that will happen, right? And to those wondering, yes, my hair is chopped.